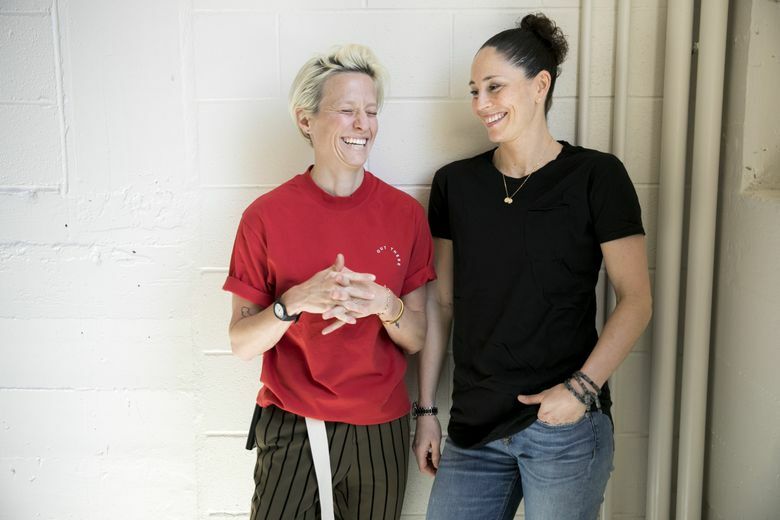 Since Sue Bird revealed that she's dating Megan Rapinoe, the two Seattle sports stars have become an iconic couple within the LGBTQ community. Here's a glimpse at what life is like for them. Two of Seattle’s biggest sports stars sit side-by-side on a couch at Seattle Pacific University on this sunny spring day bantering playfully as they describe the challenges that come with a rite of passage many couples can identify with: Moving in together. The Reign and Storm will distribute special edition Sue Bird-and-Megan Rapinoe posters to the first 3,000 fans at the July 1 Storm game against the Connecticut Sun, and the July 7 Reign game against the Houston Dash. 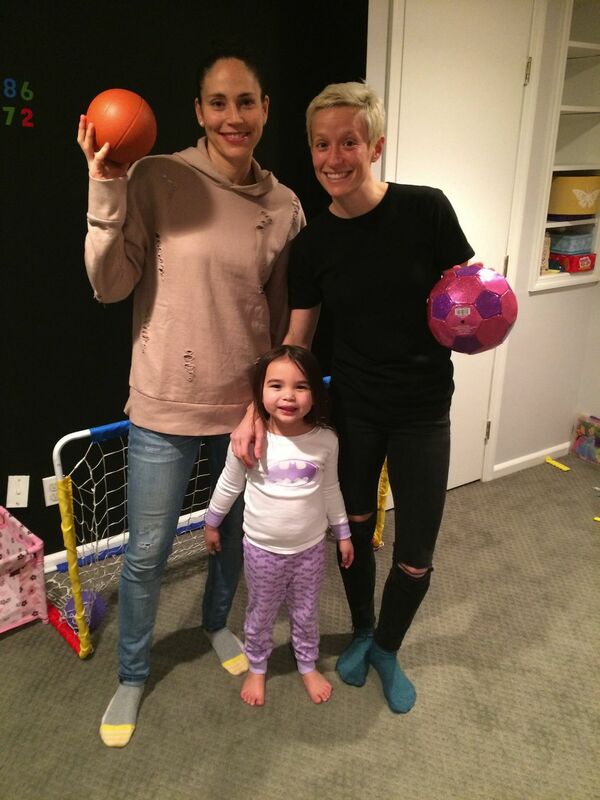 After dating for about a year and a half, the Reign’s Megan Rapinoe moved into Storm star Sue Bird’s Queen Anne condo this year. It’s been a mostly smooth transition, Bird says, smiling. The women pack a double dose of Olympic-level athletic prowess into one household. Bird, 37, is a two-time WNBA champion with the Storm, a four-time Olympic gold medalist, a three-time FIBA World Champion, and also won two NCAA titles at UConn. Rapinoe, 32, boasts an equally impressive resume. She, too, has an Olympic gold medal, along with gold and silver Women’s World Cup medals to go with the NCAA title she won at the University of Portland in 2005. But while the medals stay locked in a bank safe-deposit box, the pair had to find space in their shared Queen Anne dwelling for some other collections: Bird’s vast assortment of sneakers, and Rapinoe’s seemingly endless wardrobe. Rapinoe co-founded a clothing line with her twin sister, Rachael, and has a reputation as a spiffy dresser with a unique sense of style. Try stuffing all that into one urban condo. Needless to say, some skillful negotiations took place. “I was like, ‘Can I have this shelf?’ ” Rapinoe says. How two of the biggest stars of the two most popular women’s team sports in the United States became an iconic couple is a tale that’s attracted rabid interest nationwide since last summer, when the usually-private Bird revealed in an interview with ESPNW that she’s gay and dating Rapinoe. That story blew up in part because, despite recent advances in LGBTQ rights, it’s somewhat unusual for high-profile athletes to come out as gay during their careers. Bird and Rapinoe are A-listers within their respective realms, and news that they were dating vaulted them toward the Ellen DeGeneres/Portia DeRossi stratosphere of iconography within the LGBTQ community. “At the end of the day, Sue’s coming out and Megan being so open (about her sexuality) it’s not the impact within their leagues (that’s most noteworthy), it’s the courage they inspire in those kids who’ve been told they’re straight all their lives and are still trying to find their way,” says Cyd Zeigler, founder of OutSports.com, a site dedicated to telling the stories of LGBT athletes. Zeigler co-founded OutSports in 1999. In that time, he can’t recall another out LGBT couple that combined the wattage of star power Bird and Rapinoe represent. “They’re two legends in their sports. 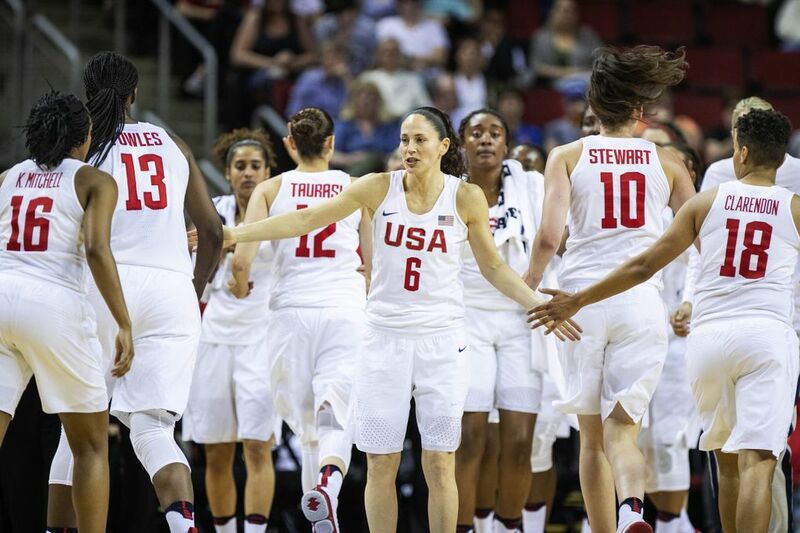 You have one of the highest profile and best female soccer players in the history of the U.S., and one of the highest profile and best female basketball players, together,” Zeigler says. So, from interviews with Bird and Rapinoe and those closest to them, here’s a glimpse at how this superstar pairing came to be, and what life is like for the pre-eminent Seattle sports couple. The question is posed to Bird and Rapinoe: Closet space battles aside, what’s been the biggest adjustment in living together? Does either woman have habits that annoy the other? Bird doesn’t even need to think about it. “Oh like the way she leaves all the lights on? It drives me insane,” she says, throwing some major side eye at Rapinoe, who grins and pats Bird’s leg in conciliatory fashion. “So now all of a sudden, I have this huge dent,” Bird interjects. “Dent there,” Bird quips, rolling her eyes. “I just bang around a little more,” Rapinoe says, shrugging, unapologetically. Cue another eye roll from Bird, who nonetheless, can’t quite conceal an affectionate smile. It’s a tacit acknowledgment that whether at home or out in the world, this hard-living, rough-and-tumble firebrand who dents things and crashes around, is exactly who Rapinoe is. In many ways, she’s the opposite of Bird, the tactful, more reserved member of the relationship, who’s more likely to conceal her emotions than tweet them in a burst of spontaneity. Rapinoe’s always been one to wear her heart on her sleeve, says her twin sister, Rachael Rapinoe. That doesn’t surprise anyone who’s followed Rapinoe’s career. 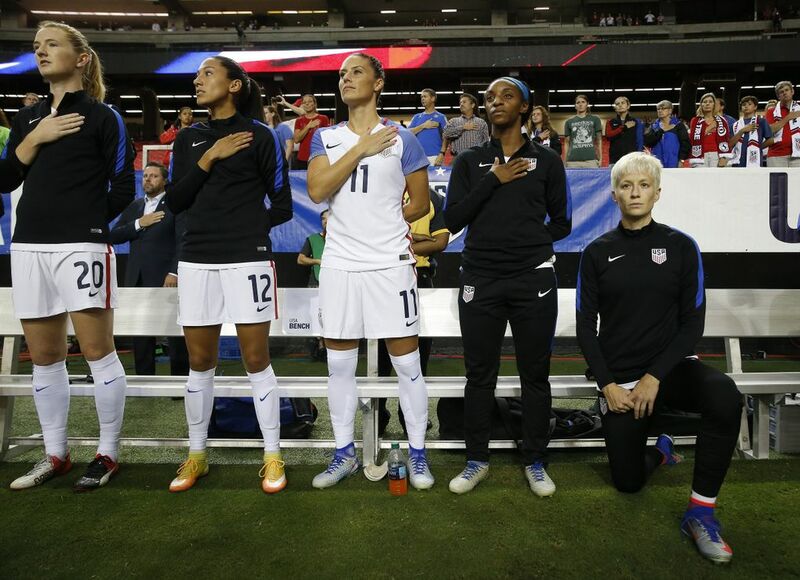 In 2016, the outspoken midfielder publicly demonstrated her support for then-49ers quarterback Colin Kaepernick and the Black Lives Matter movement by kneeling during the national anthem before Reign games. She’s also been vocal about the pay differential between the U.S. men’s and women’s national soccer teams, and has been a strong advocate for LGBTQ rights. That unshakable conviction in her beliefs helps explain why Rapinoe’s acceptance of her sexuality came much more easily than it did for either her girlfriend or her sister. The twins came out to each other during their freshman year of college at the University of Portland. Rachael was going through a rough breakup, and as Megan probed to find out why her sister was so sad, Rachael finally revealed her big secret: She had been dating a girl. Megan’s response caught Rachael off guard. “As I was telling her about everything, she was like, ‘Oh well, me too. I’m dating a girl too, if it makes you feel any better,’ ” Rachael says. The sisters realized they’d both secretly been seeing women for the last year, but each had been afraid to tell the other. Thereafter, even though Rachael continued to struggle with her sexuality due in part to her religious beliefs, Megan embraced her identity as a gay woman. After years of always feeling different while growing up, realizing she was gay was liberating for Megan. “It was the first time she had ever felt free, and she really celebrated it from Day 1,” says Rachael, who has since also come out as a lesbian. Bird’s path toward self-acceptance took a little longer. She dated women in college at UConn but did not come out to her family until 2003, during her second year with the Storm. Bird says her family and friends were very supportive, and since then, she’s been out around loved ones and teammates for years. But in line with her inherently shy personality and how carefully she guards her privacy, she never saw the need to publicly announce her sexuality. She’d been through two serious relationships before she met Rapinoe. But until now, Bird has never publicly discussed who she’s dating. In contrast, Rapinoe’s previous relationships with Australian soccer player Sarah Walsh and Seattle musician Sera Cahoone played out openly over social media. Bird and Rapinoe were familiar with each other from the Seattle sports scene, but never really socialized until they hit it off at a sponsor event at the 2016 Rio Olympics. “It was kinda like, ‘OK, we both live in Seattle, we should be friends. Why aren’t we friends?’ ” Rapinoe says. By September 2016, they were dating. Characteristically, Bird was initially careful about who she broke the news to. Brad Barnett has been Bird’s best friend since the age of 2. They grew up together in Syosset, N.Y., they’ve shared a multitude of childhood secrets, and their friendship is replete with inside jokes no one else understands. To this day, they talk or text almost daily, and Barnett has been privy to the most intimate details of Bird’s life. So, in the fall of 2016, Barnett suspected Bird was dating someone new before she deigned to tell him. He even managed to guess who she was seeing. Friends and family say Sue and Megan have been good for one another. Bird agrees with her best friend. “It’s nice to be going through the same thing,” Bird says. “It’s very similar, the things you go through: mindsets of things, team chemistry, dealing with a coach. So it’s nice to have a sounding board at home that just understands. Rachael thinks being around Bird has heightened Megan’s self-discipline. Bird follows a diet high in vegetables and low in sugar and dairy, and regulates when she eats her carbs. Rapinoe adopted a similar diet after she and Bird started dating, and she swears it’s made her more effective on the soccer pitch. But aside from the positive ways they’ve rubbed off on each other, the couple has also realized that together, they’ve made an out-sized impact on their community. Whether they’re cruising Lake Washington on Rapinoe’s pontoon boat, having dinner at their favorite restaurants, or out for a night with teammates, Bird and Rapinoe are used to having people come up to say hello. To some extent, that’s always been the case. 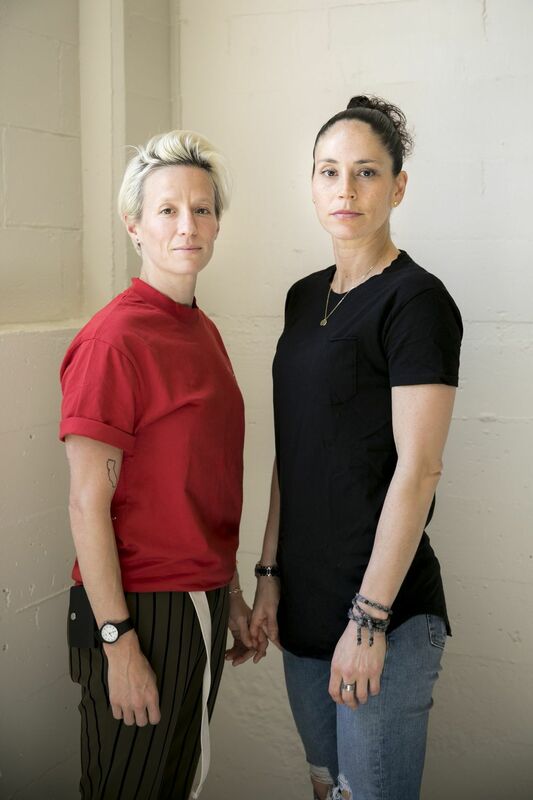 Bird and Rapinoe say they haven’t gotten any more attention than normal since Sue’s revelation that they’re a couple, and they haven’t found it difficult to maintain their privacy despite the steady stream of LGBT youth who come up to thank them for being an inspiration. But, it’s not just the kids who approach them. “What’s interesting is that I get a lot of older women too, (for) whom, I think, 20 years ago, it was much more difficult to be open about your sexuality,” Bird says. These women are often in their 50s or older. Frequently, they thank Bird and tell her stories about how they couldn’t come out because of their families, or because it simply wasn’t accepted in society and they never felt like they could be themselves. Those stories resonate with Bird. They’re constant reminders that the simple act of allowing the public a glimpse into the life she shares with Rapinoe has made a difference in someone else’s life. “I think a lot of people who were like me at the time felt, ‘Yes, I was living my life, but I don’t have to come out publicly,’ ” Bird says. “You kinda say, ‘Well, straight people don’t have to come out.’ I understand now that’s not necessarily the right way to look at it. Rapinoe has always felt that way. 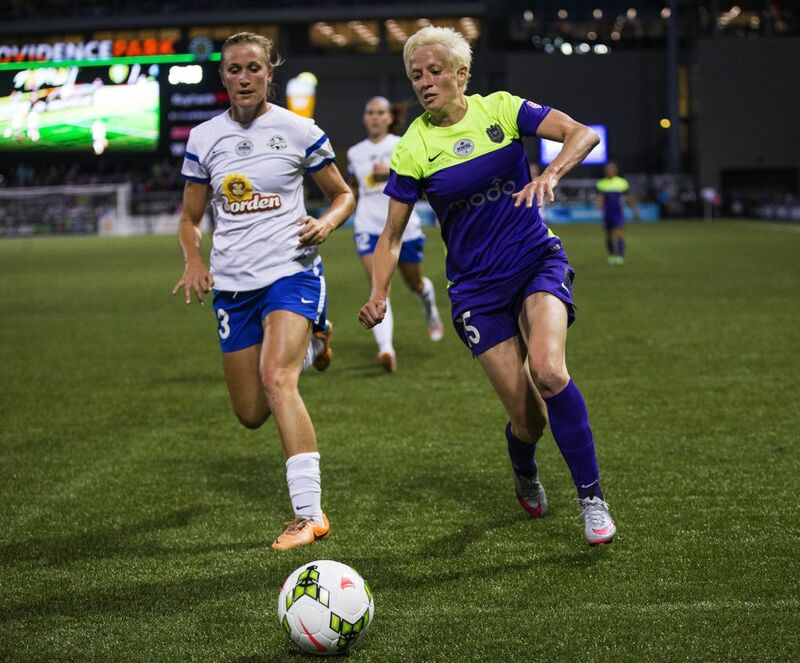 “Visibility is king — or queen,” Rapinoe says. “Until we don’t have any more discrimination of any kind around the country or in the world, it’s kind of important, I think, for people in certain positions (to be publicly out), whether that be a boss, an athlete or a politician. Rapinoe has made an impact on Bird in a multitude of ways. So, a final question is posed: What’s one thing you can reveal about each other that people might not know? The two women glance at each other quizzically. For a minute, they’re stumped. But for different reasons. Rapinoe is wondering what she’s allowed to divulge about her enigmatic girlfriend; Bird is genuinely at a loss for an answer. “Yeah, and Sue’s not an open book,” Rapinoe says, emphatically. Her response inspires Bird. She knows where to go with this now.